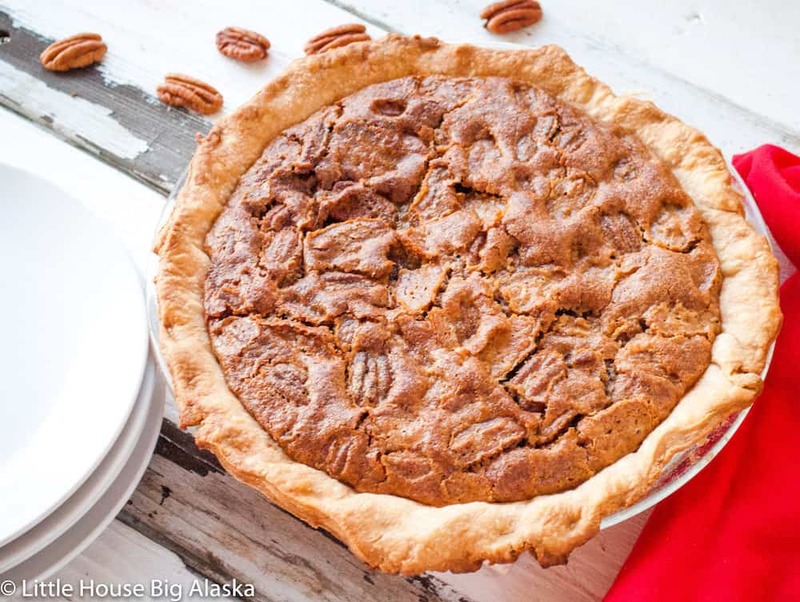 Easy Pie Crust, No Really! Easy Pie Crust, No Really!, No Really! It’s Pie Dough season isn’t it?? I mean if Christmas won’t stay away and Thanksgiving is just right there, then we should just call it all pie dough season and everyone is happy, right? Listen, pie dough doesn’t have to be hard, this recipe is super simple and comes together in under 5 minutes in the food processor. Easy Pie Dough, No Really! One thing I hear again and again is that people buy pie dough or pre-made crusts because pie dough is TOO HARD TO MAKE. I beg to differ, Pie dough can be easy, especially if you have a food processor. Even if you don’t watch my Facebook Live video below and I’ll show you the tool you need. It’s called a pastry blender and if you don’t have a food processor, this tool will help make pie dough easier! You need 5 ingredients, FIVE, compared to the 10-12 ingredients in a pre-made crust. 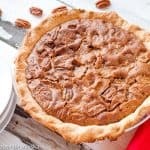 To make the dough it’s simply the act of mixing the dry ingredients, cutting in the fat and sticking it together with a little water and you have a very easy to make pie crust that is suitable for most pies. I recently remade a video I made 6 years ago, showing you JUST how easy it is in a food processor. The recipe is below the video if you want to give making your own pie dough a chance. This is a great recipe to hand off to kids and let them try their hand at pies, kids love to have something they made on the table and pies just feel like something special to make. Pie Crust doesn't have to be hard--this recipe is super simple and comes together in under 5 minutes in the food processor. It's easy enough for tweens and teens to tackle with just a bit of mom help too! I also just recorded a Facebook live and walk you through the whole process there too. It’s longer, I explain things more, it’s more personable, and more fun! I love this easy pie dough! PINNED! Enjoyed your video. I will certainly give this a go. I can bake bread like a mad man but for some reason pie crust has escaped me. Thanks for the great information. I WISH I could bake bread! I am only ok at it–working to improve it though! I love easy pie dough! I like replacing some of the water with vodka when I make mine for extra flakiness. Great tutorial!